The bulk of forex trading decisions are made by analyzing the currency pairs for any evidence that will point towards a particular direction. Apart from using the news to form such an opinion, which is the basis of fundamental analysis, we also have other methods that can be used for market analysis. Collectively, these methods constitute what is known as technical analysis. What are the common methods of analyzing the markets technically? Using indicators for market analysis is the commonest form of technical analysis available today. These tools can either be supplied with the trading platform by default, or they can be custom-made by a programmer using a variety of programming languages. Technical indicators are basically market predicting software that aim to identify a pattern of direction for the currency asset. Technical indicators may work by either predicting the trend, or by predicting the momentum of the movement of the currency asset. 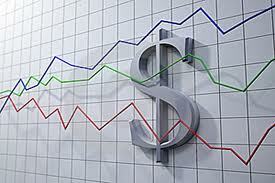 Trend indicators tell the trader that the asset is going to move in a certain direction. However, they have a fundamental flaw> Most of the time, the move of the currency would have been well under way by the time the trend indicators give a clear-cut signal. Relying on trend indicators alone for generating trade signals will lead to a lot of wrong signals and fakeouts, and will cause the trader to lose money. In order to counter this flaw, the momentum indicators were developed to indicate the strength of the move of the currency asset. By telling a trader if the trend behavior of the asset is still strong or has started to show early signs of dying out, the momentum indicators can be used to filter out the signals generated by the trend indicators. The implication of this is that neither the trend indicators nor the momentum indicators can be used as standalone tools for technical analysis. They complement each other and therefore must be used together. It is up to the trader to decide what indicators he will combine to form a suitable technical analytical strategy. But whatever the combination, the trader must always include at least one trend and one momentum indicator, and never a combination of two trend or two momentum indicators. Examples of trend indicators are the moving averages, Bollinger band and parabolic Stop and Reverse (SAR) indicator. Examples of momentum indicators are Stochastics, Relative Strength Index (RSI) and Commodity Channel Index (CCI). In addition to the technical indicators, there are other tools that can be used for chart studies such as the trend line tools, Fibonacci retracement and extension tools and the price channel tool. Custom-made technical indicators can also be designed by programmers or purchased from software vendors for use in technical analysis. Candlesticks are a method of price representation on the charts. Unlike other forms of chart representation like the bar charts and line charts, candlesticks can actually form patterns that can be used for technical analysis. For instance, the presence of engulfing patterns, Doji candles or harami candles can indicate whether the price of the currency asset will head up or downwards. Experienced traders can use this information alone to make accurate trade analysis, but for beginners, it is advocated that candlesticks be combined with either indicators or chart patterns to generate trading signals. Chart patterns are also another method of technical analysis. By looking at definitive patterns that the candlesticks form collectively on the charts, a trader can immediately determine where the currency is headed. The beauty of chart patterns is that unlike indicators, trading signals can be picked very early and the trader can also get an idea of how big the expected move of the currency will be. Examples of chart patterns are wedges, triangles, pennants, flags and channels. Charts come various time frames ranging from as low as 1 minute to as high as monthly time frames. The trader’s trading style will determine what time frame charts to use, with intraday traders and scalpers using the smaller time frame charts and the long term investors using longer term charts. This is a brief overview of what technical analysis is all about. In depth articles on how to conduct technical analysis are available on this website.